Thank You, Cathay Bank! – 華僑社會福利社 Immigrant Social Services, Inc.
Elizabeth Lee, Senior Vice President, Cathay Bank presenting the award check to ISS Executive Director Charlie Lai and Deputy Executive Director Beatrice Chen. We are delighted to announce that Cathay Bank Foundation has awarded $10,000 to Immigrant Social Services, Inc (ISS). The grant supports our ongoing programs that provide expanded learning opportunities to children from low- and moderate-income families in our community. 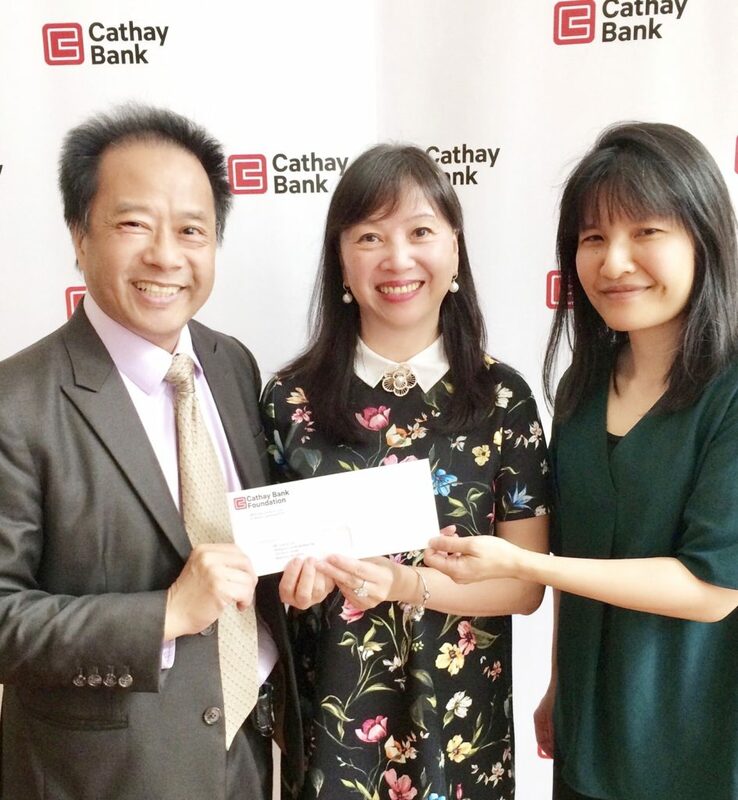 We are very grateful for Cathay Bank’s partnership and the community leadership of Senior Vice President Elizabeth Lee, which enable ISS to continue our efforts in meeting the needs of underserved communities.